What is it? Almost anything can be purchased online these days if you have an Internet connection and a credit card. What risks are involved? If the site you're shopping on doesn't use data-security methods (such as encryption), your credit card or identity information could be transmitted into cyberspace, making it available to identity thieves. Illegitimate businesses could sell your personal information to other businesses or spammers, compromising your privacy. 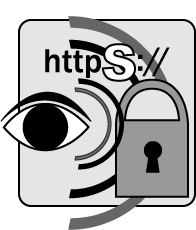 Look for the padlock icon in the lower corner of your web browser, indicating the site is encrypted and that your personal information is protected as it moves between your browser and the site's web server. Look at the URL of the site. In ?https://? the 's? means SECURE data transmission. Don't buy if they don't offer you a way to print a receipt. Consider how reputable the store is since you are trusting them to safeguard your name and credit card number.